Whilst PepsiCo workers elsewhere in Asia are struggling to exercise their basic rights, on July 23 the new PepsiCo Workers' Union in Pakistan took a step forward when it was officially granted collective bargaining status by government authorities, securing formal recognition and the right to negotiate a collective agreement for the first time. 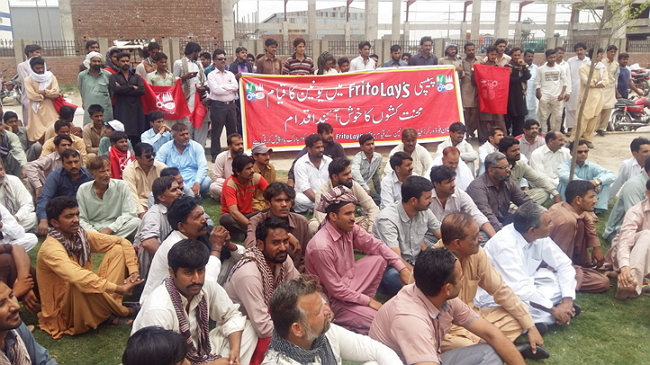 In response to abusive precarious employment practices and discrimination, workers at the PepsiCo Frito-Lay plant in Lahore began organizing last year with the support of the IUF-affiliated Pakistan Food Workers' Federation (PFWF). At its inaugural congress in May 2016, the union was formally established and elected its leadership. After a verification process the union received its official registration from the government on June 18 and on July 23 was granted legal collective bargaining status. The union has 650 members of which 150 are women.